The Lake Victoria Region in East Africa is the most densely populated area in the world. Over 30 million residents who live along its shores — and especially those who live on thousands of small islands — depend on the lake for their subsistence. The lake is their livelihood and their link to the mainland, and this is where Africa’s infrastructure gap is felt the most. Essential medicines can take hours and sometimes days to reach health facilities from mainland distribution centres. Test samples can in turn take the same amount of time to reach mainland hospitals from the island. Mwanza, a picturesque Tanzanian city along the lake’s shores is trying to solve this problem with unmanned aircrafts or drones, starting with the Lake Victoria Challenge (LVC). Mwanza is fast becoming a leading innovation hub for cargo drones. We agree that a successful drone industry in the region will create jobs, improve the economy, and save lives. Not a bad combination but there needs to be an appropriate eco-system for such initiatives to thrive. Drone pilots, technicians, and geospatial analysts are some of the local talent required for this to happen. So what better way to offer a hands-on introduction to drones and interact with the future of the industry than visiting local schools? Between the 29th and the 31st of October, we set up to visit one high school and two primary schools. Each of our sessions had 15 participants from the LVC who started their training in a bus towards the schools. 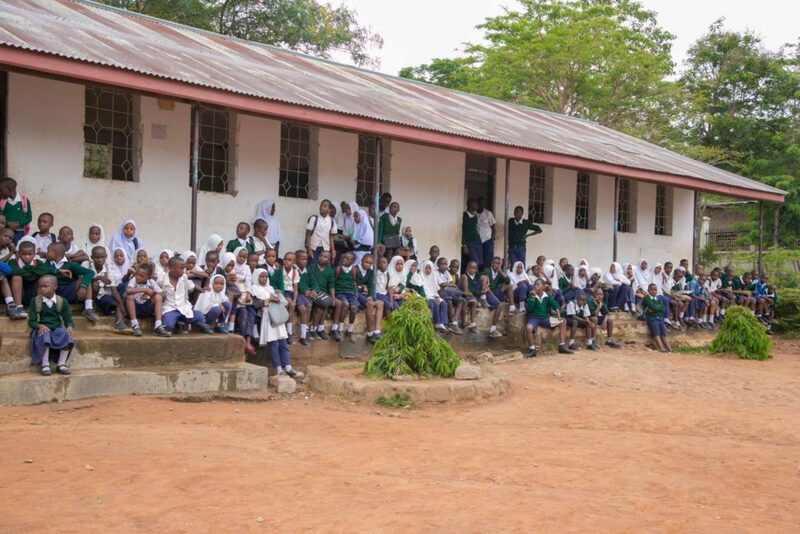 A few minutes later we arrived at local schools where hundreds of students were in attendance. The DJI Phantom 4 quadcopter was the perfect prop to engage the students, especially girls, and motivate them to focus on science and math subjects. A live demo of the drone’s capabilities was performed by mapping their schools, and future sessions will include outdoor screens to view the entire workflow. 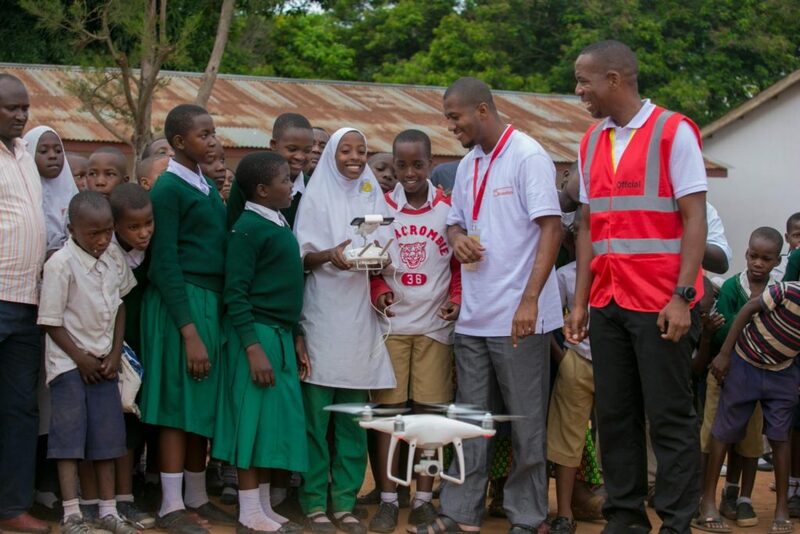 The LVC will be hosted in Mwanza in mid 2019 with drone innovators competing in several categories such as sample collection. The Tanzania Flying Labs is honored to be part of the organizing committee for this event and was equally honored to offer introductory drone training sessions to participants in a LVC symposium last October. We wish to thank the The Dar Teknohama Business Incubator (DTBi) for the idea of mapping schools as a way to engage and teach kids about drones. The LVC was the perfect backdrop for students to learn more about what is happening in their community and more importantly the opportunities that await them once they graduate from university or apprenticeship programs.